Are you failing to concentrate on study or work matters? Do you want to increase your brain power and concentration, or sharpen your memory? Then dump the junk and indulge in these foods choices instead. Walnuts not just resemble the brain (in appearance) but are also excellent and effective if you want to increase your brain power and concentration. Moderate intake of caffeine (found in coffee, energy drinks, chocolates, etc.) can make you more alert, thereby increasing your concentration power. 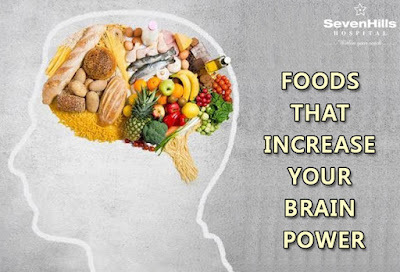 Glucose, processed from sugars and carbs, helps in boosting memory, thinking capacity, and mental ability. Too much of it, though, can cause impairment of memory and the body. Make it a habit not to skip your breakfast. Having a good morning meal helps you stay active and alert and also leads to improved concentration and thinking capability. Eat two servings of fish weekly since it has omega-3 fatty acids which are known to have amazing brain power. They are also known to lower dementia and stroke risks, and to help slow down mental decline. Dark chocolate and nuts have powerful antioxidants that enhance focus and give you all the benefits you need with a minimal excess of calories, sugar, or fat. A diet high in whole grains and in fruits like avocados cuts down the risk of heart disorders and low cholesterol. All this and more enhance the blood flow and thus fire up your brain cells. If your diet isn’t healthy i.e. if it lacks essential nutrients, then it can damage your ability to concentrate. Eating too little or too much, too, can interfere with your brain power. Exercising to help sharpen thinking. Meditating to clear thought processes and to relax. Pay close attention to what keeps you alert versus what causes lethargy and fatigue. Manage these triggers and take necessary measures towards changing the same, if required.